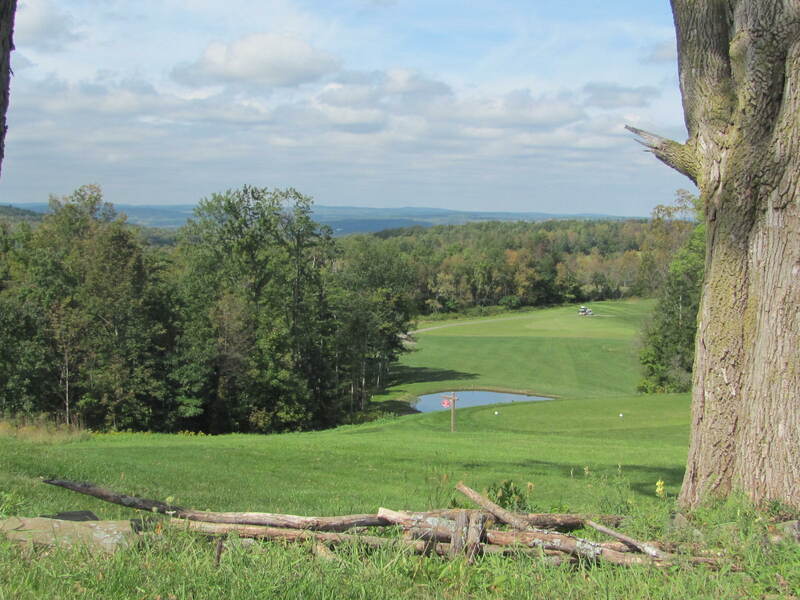 The golf course at Pheasant Hill Country Club is set high above the Village of Owego on 135 acres of hillside pasture land, part of what was once a generations old dairy farm. Its natural beauty has been untouched by development. The challenging 18-hole course was designed taking great care to preserve the natural landscape – and the result is a course that provides distinctly different challenges to each golfer, as well as a profound sense of peace and beauty. On the front nine, located across the road from the clubhouse, you'll start your round with a panoramic view of the surrounding countryside. Simliar to a links style, the fairways are longer and wider. The elevation and openness offer clear views of the landing areas on every hole. The back nine are carved into the hills and woods behind the clubhouse. An Adirondack style nine, the fairways are shorter, and there’s plenty of dimension in the landscape, with an abundance of water and woods. This is where Pheasant Hill’s signature hole, #11, is located. Its tee box has the distinction of being the highest in elevation of any tee in Tioga County and the view will give you pause.